A bit of rain yesterday and a nice cool morning today, very nice after the heat we had been having but it is coming back for a day tomorrow. Sigh. This is from cool days in June when I was in Minnesota. 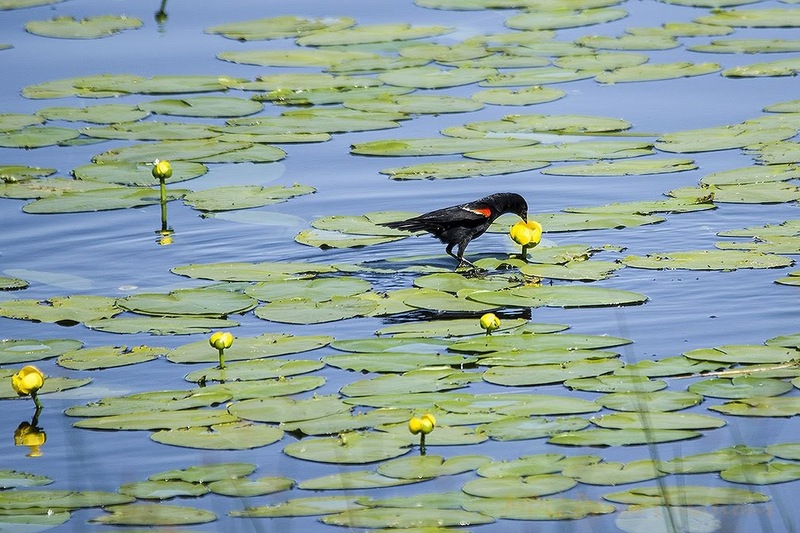 This Red-wing Blackbird was flying from pad to pad to eat something out of these Lily flowers. 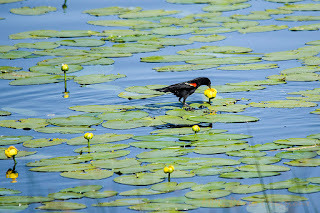 I am not sure if it was nectar from the flower or insects inside that it was after but I enjoyed watching and photographing it. I had seen this type of behavior once before a couple of years ago, but still don't know what it's after.